So, spaghetti con aglio, olio e peperoncino. It’s dead simple, warm loads of finely chopped garlic and some finely chopped chilli in loads of olive oil and add it to cooked pasta. But… here are, to my mind, the important bits. The pasta: Spaghetti is the most common pasta with this dish but you can use any type of long pasta. Pasta should always be cooked in loads of water as it needs to move about so use the biggest pot you have. The water should be well salted, about one good teaspoon per litre (most italian pasta sauces have little or no salt in them, the salt is in the pasta). Our family pasta pot holds just over 2 and a half litres and only just copes with one 500g packet of pasta. Make sure the pasta is cooked until ‘al dente’. Soft pasta without any bite in it is to be avoided at all costs. Just keep tasting a wee bit until it is ready. 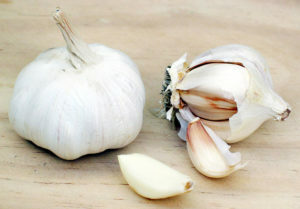 The garlic: For one 500g pack of dried pasta i use either one whole bulb of chinese garlic (they are the small bulbs with no cloves), one small bulb of supermarket garlic or less if it’s a large bulb or better quality. The more you make it the better you will get at judging how much garlic to use depending on your personal taste. The garlic should be finely chopped but not crushed as it burns too easily when crushed. 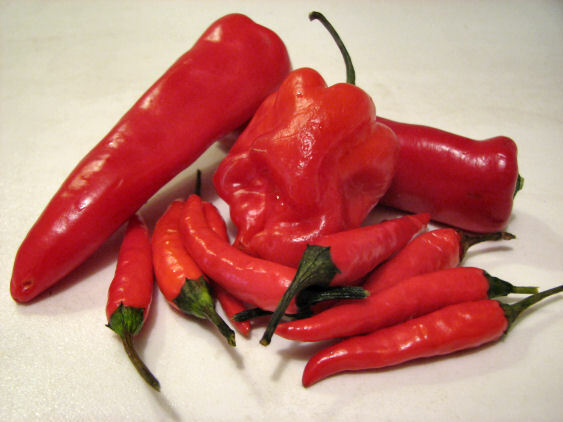 The chilli: The amount of heat in chillies vary so much it’s hard to say how much to use. 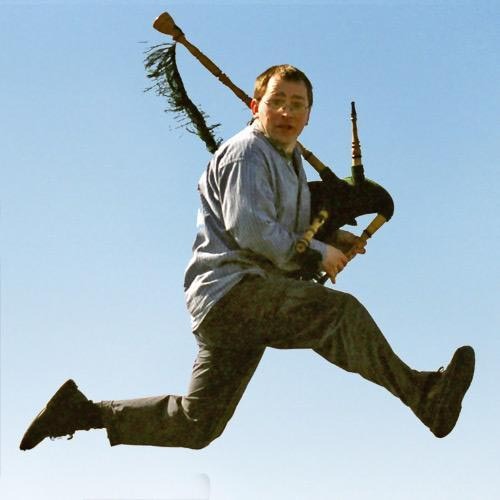 You don’t want it to be too nippy but you want to be aware of the wee chilli kick. At the moment I use one small birds eye chilli with seeds per 500g pack of dried pasta. I finely chop the chilli but it can be cut into tiny strips. The oil: Of course, the better the olive oil the better the dish. 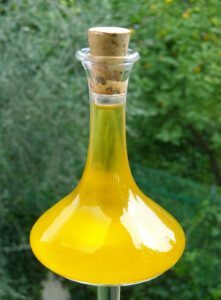 I’ve never measured how much oil I use but it should make you go,”oh my god, that’s a lot of oil!” (I’ll measure how much I use the next time I make it.) UPDATE: I’ve measured the amount of oil I use and it is around 120ml for a 500g pack of pasta. You can use less if you are concerned about your waistline. Bring the pan to a rolling boil, add the pasta remembering to stir it soon after to stop it sticking to itself. As soon as the pasta is in water put the oil, chilli and garlic over a super low heat and cook it really gently, either until the pasta is ready or until it looks like the garlic may be starting to brown. It’s really important not to burn the garlic as it will taste bitter. Drain the pasta and toss with the sauce. Serve with loads of freshly grated parmesan. My favourite side dish with this is tomato and anchovy salad. I’ve eaten this in restaurants loads of times now, both in Italy and elsewhere. It’s always cooked to a slightly different recipe. In Italy it often comes with some finely chopped parsley added just before serving. I’ve also had it where the garlic and chilli are just added to the oil whole and warmed to infuse their flavours more gently into the oil. I have no idea if my version is even remotely authentic but it’s a big hit in our house. 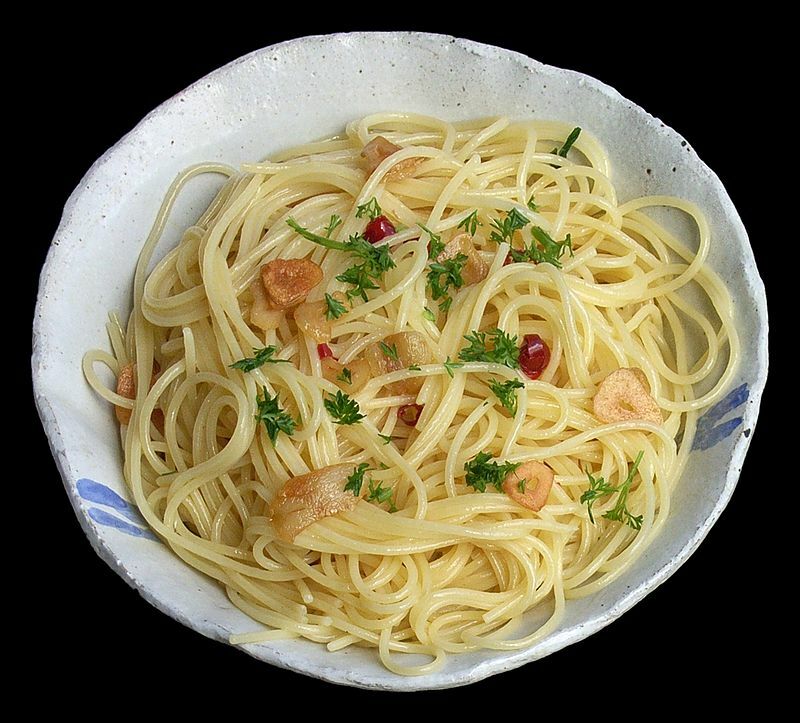 Image credits (top to bottom): Spaghetti all’ aglio, olio e peperoncino by kawanet, Olive oil from Oneglia by Lemone, Jalapeno_scotch_bonnet_bird’s_eye_chilis.jpg by aislinnv, Garlic by Donovan Govan. It’s getting better but am still struggling with the quantities! The first time i made it i used about 6 birds eye chillies…big mistake! Gonna invest in some decent olive oil now and then i’ll be off! yum! thanks! Feel free to post up any more family faves! More recipes will be arriving soon.